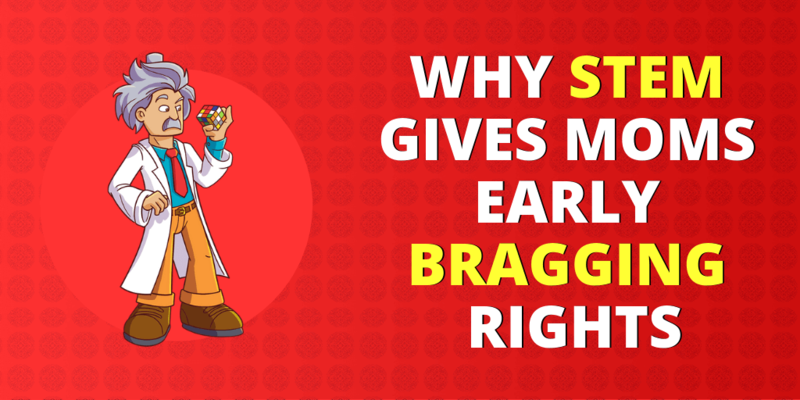 Isn’t it the best accomplishment when you hear family and friends bragging about how smart your baby is?! The credit goes to you mama bear. You’re figuring out what’s best for your child at the most critical point in neurological and brain development – the first 5 years. STEM learning is a concept through interactive play that needs to be planted early on in life in order to advance development and promote an eagerness to learn and readiness in critical thinking and creative skills. Ignite the curiosity of your child who is more than ready to learn through STEM play. They will learn and grow far more advanced than the rest. By providing STEM activities at home and using less screen time, we keep that flame strong as it shapes their thinking and problem-solving skills using STEM applied tactics. 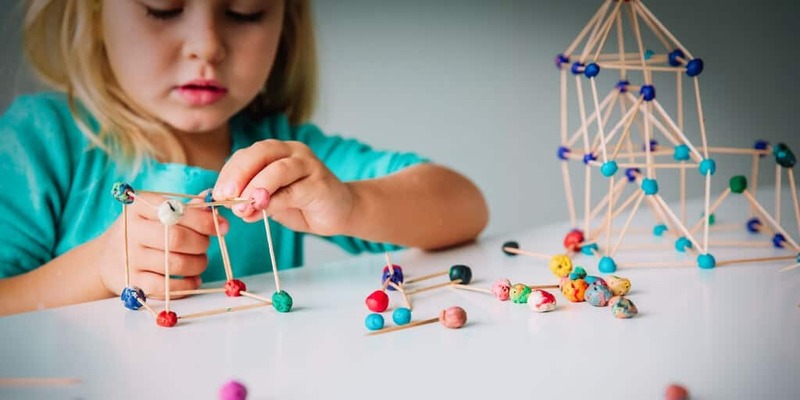 By the end of the article, you’ll completely understand why STEM learning sculpts an advanced intelligence through the specific structure and interactive play all while knowing it’s okay to brag of your child’s advancements! 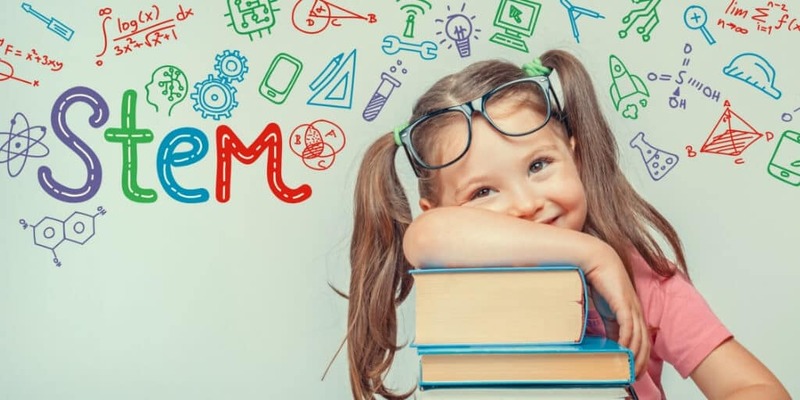 Researchers, educators, and moms like us are in agreement that preschoolers and young children are highly eager and engaged when it comes to activities that focus on science, technology, engineering, and math (STEM) learning. We’re so used to hearing people describe themselves as better at science and math or english and arts. But, when we give the right tools to our kids at a young age, they become much more well-rounded. In order to have a quality learning experience, children have to be actively engaged. Isn’t it fulfilling to see your child take ownership of their learning?! As parents, we support them through encouragement, validation, support, and providing STEM-based activities. Our kids are eager to learn in all subjects while understanding each in-depth. This is the biggest difference between achieving regular milestones and surpassing multiple milestones for their age. Science is a way of thinking through experiments, observation, making predictions, asking questions, and deciding how things work. Feeling like we’ve achieved our duty as mothers by equipping our precious babies for success is our milestone. What better way to meet those achievements than by providing STEM activities for advanced success?! Even better, I love seeing children excited to show off their new skills. Their brains are sponges at this point and we have the perfect opportunity to cultivate their science skills before they’re bombarded by dull TV shows and trending games with nothing of substance to offer. Being advanced in science is about determining what the goal is of the activity. Then, how a child thinks it will be solved, looking at the tools needed to succeed, and then completing the steps using those tools given. The results are either it works or it doesn’t. If it doesn’t the goal is to develop and apply critical thinking skills to solve the problem. When children figure out how to use those tools and apply the method, they’ve learned the right way to complete a task. The moment my 2-year-old nephew held his BrickMates Lock and Learn numbers puzzle and snapped the number 6 puzzle piece into place the second time around and on his own was a proud moment for mom and dad. I felt like a proud auntie too! He picked up a few puzzle pieces and looked at the puzzle board trying to figure out how this foreign thing worked. It looked like it would be overwhelming for him, but that smarty pants decided to experiment using one puzzle piece at a time. He looked at a shape for a few seconds, then took a minute to review the puzzle board and tried snapping it into place. If it didn’t snap, he’d rotate it and flip it until it did. He knew it matched, but he had to learn the how it would match. If it locks in, he would know he did it right and would then apply that logic to the rest of the 9 pieces. He locked the numbers 1-10 into place within 2 minutes and he’s only 2! Okay, bragging time over. As if that’s not enough, I noticed he played for 15 minutes with that puzzle over all his dinosaurs and cars he got for Christmas. 15 minutes is a long time for a 2-year-old, we’re lucky if they play with the same toy for 5 minutes. So, why was he hooked? Because it was challenging and rewarding. We were so proud of him for picking up something new and walking through the natural steps of applied science through STEM approved toys. He grew confidence in himself and we validated his feelings through genuine excitement. Seeing your child use problem-solving skills instead of screaming at the top of their lungs because they can’t figure something out is something worth bragging about! That alone has shown he’s learning patience, growing self-confidence, and learning how to problem-solve. Technology is a way of doing. With learning tools, kids become inventive, identify problems, and make things work. By promoting a STEM discipline through STEM-focused activities, it prepares our little ones to cultivate an advanced set of skills that set them up for success in their life. How many times do you see your little one building towers out of cups, blocks, and basically anything they can get their hands on? All that hard work and then knock it over with the cutest little giggle in the world?! Your child is naturally applying STEM methods through curiosity and excitement of breaking something just to figure out how to build it better next time! Imagine what they can achieve if we provide them with a STEM specified activity?! Using non-electric technology aka #unpluggedplay allows our kids to get those creative juices flowing and keeps them active all while applying STEM education for further growth. The technology aspect of STEM is perfect for kids who are always asking the “hows” and “whys” of the world. We have more control than we think when it comes to our children’s success just by implementing STEM experiences in everyday life at home. Sure they learn at school, but the advanced kids are the ones who don’t stop learning when they get home. To avoid a mentally exhausted child, that’s where STEM comes into play (pun intended). What better way to brag about our child’s ability to surpass the typical milestone achieved then by experiencing it at home where they don’t have to learn, but want to. Learning shouldn’t be viewed as a frustrating chore, it’s a fun activity through practice and personal achievement. Imagine this: Your little one is looking at a book that describes what germs are, where they live, and how they hurt and protect us. Next thing you know, you’re at a park and a child sneezes without covering their mouth. Your baby’s growing up(sad face) and has learned the “how’s” and “why’s” through a book and then applied them to real-life situations. They didn’t just cover their mouth because we tell them to do so 10 times a day. They truly understand why they should and how to properly. What a teachable moment all while keeping them engaged and busy by using a lemon to conduct electricity. 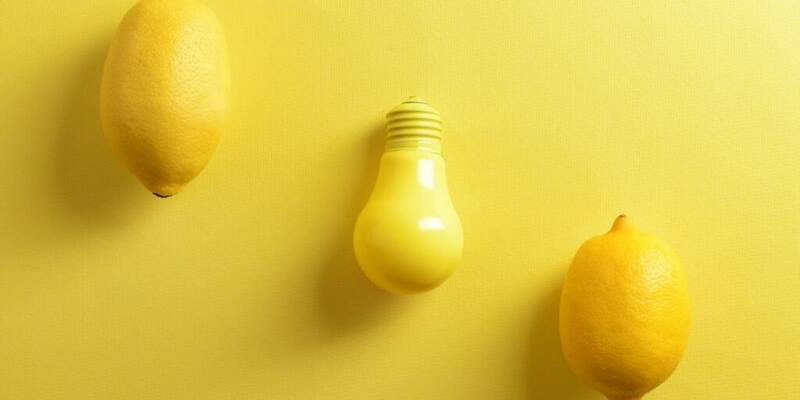 Telling your friends how your child has learned so much about electricity by using lemons is a pretty interesting conversation to have. Before you know it, they’ll be asking you to send them more information so that their child can catch up. What’s even better is that your little one will describe to their friends how there are electrolytes from the citric acid of the lemon to make an electrical current. Now, this doesn’t require a high-tech mom or dad, there are plenty of real-world applications like the lemon example using the stuff at home just by searching online. Engineering is also a way of doing. A child can solve problems with a variety of materials – they design and create. Little learners build things that work. Let’s face it. Engineering and technology are advancing every single year. We can barely keep up with the changes, so let’s help our kids prepare for constant advancements so that it doesn’t hinder their confidence, but builds it to the point they’re in the driver seat. Asking good questions promotes critical thinking. Engineering is all about starting with a question so that our kids can think of ways to solve the dilemma. Solving a problem is never easy and that’s the whole point! We’re teaching them it’s okay to not get it right the first time. This teaches patience, abstract thinking, and they are learning life lessons. Plus, communication skills is one of the most important skills to have. Listening to your child communicate what’s wrong and why is half the battle these days. What if we can teach them so many life lessons just through this type of learning?! There are profound ties between STEM and language learning. Research actually shows that early STEM instruction results in higher language and literacy outcomes. If there isn’t early STEM learning, the opposite shows too. 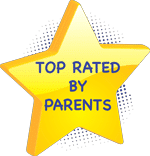 We’re the long-term influencers in our child’s development and what better way to brag about our babies success early on than being there to witness your child surpass not a typical milestone, but STEM milestones! As if that’s not enough brag-worthy moments, advancing in math is the next game changer. Math is a way of measuring. At any age/stage of development, math involves exploring shapes, sizes, volume, and learning about patterns and sequencing. Math, my least favorite subject. But, I want my kids to be better than me and smarter than me, don’t you?! 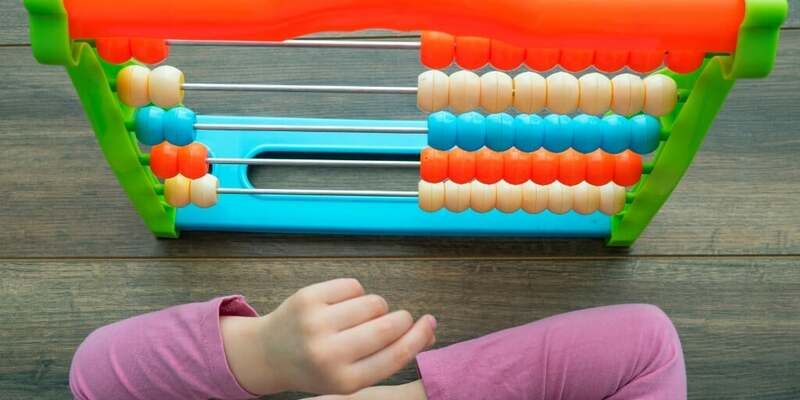 You see math doesn’t have to be so intimidating if we start providing math concepts through STEM play at an early age. Research shows the earlier we expose our child to STEM, the more positive of an impact we’ll have on our child’s development. Is it really bragging if our kids are killing it in the math department early on in life or are we just stating facts on how quality education in the most crucial stage of life will prepare our kids for a successful future? Nevertheless, we have a head start in preparing our kids to take math classes with ease using the most solid foundation – STEM learning. Our kids will be the leaders down the road because a STEM-rich environment provides them with so many opportunities for personal growth. Hearing children point out different shapes while grocery shopping is the only non-mentally exhausting part about shopping with kids. It sparks hope in my heart every single time I see a child’s face light up with excitement because they saw a square sign or a rectangle box with their favorite circle-shaped cereal. This is a STEM achievement! From there, they start counting how many they can spot and they learn the difference between a circle and a rectangle ie. no corners and so forth. So, what does this mean for you and your child? Shaping our little one’s mind as early on as possible sets them up not only for success but advanced learning and achievements. Plus, we can brag even more on how proud we are of our baby’s ability to grow on their own, of course, with us by their side forever! 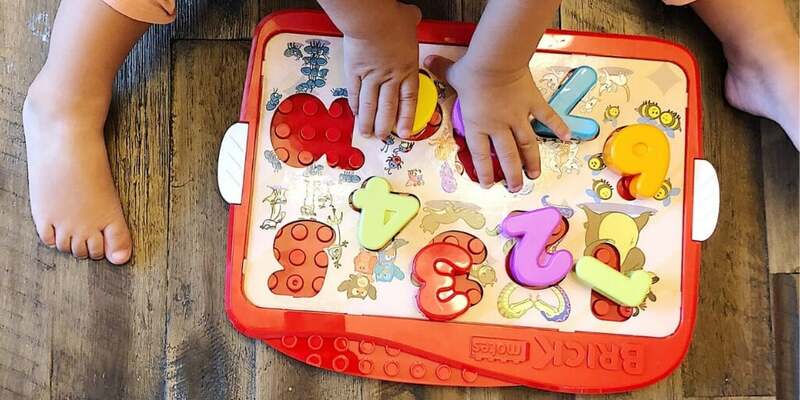 If you’re confused on what really qualifies as STEM-ready products, look for a STEM sticker and a thorough description of how that product or activity will prepare your little one to achieve multiple milestones faster. I don’t know about you but, I want my baby to be prepared and directly involved in the innovative technologies that we have yet to see for our world. 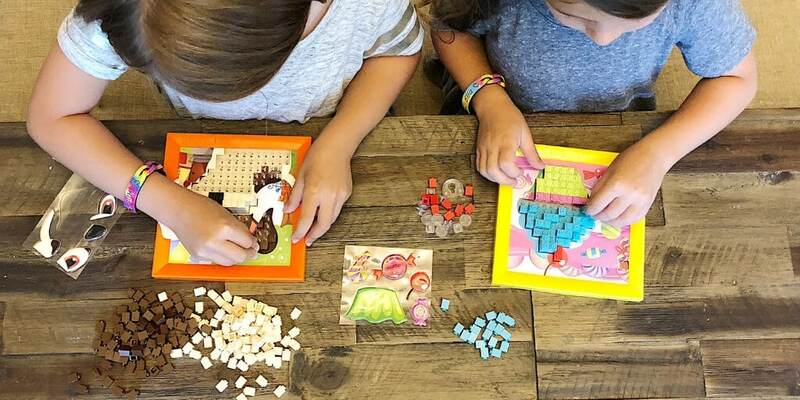 One of the greatest concepts to promote learning through active play is using BrickMate’s puzzles which are shown to prevent poor habits like overuse of “the screen” and encourage the development of advanced skills through active play. Not only that but, the Lock and Learn and Stack by Numbers puzzles make our lives easier when it comes to the “clean-up” process… because there is no clean-up process. They snap into the puzzle board for easy storage. What types of STEM learning activities are you going to give to your little one? Comment below, I’d love to hear your thoughts!